Afternoon folks! It's been a while since I featured some gorgeous crafty items for you so when I stopped by Torico's blog recently I knew I had to share her beautiful cards with you all. Torico lives in Japan and is also an illustrator for There She Goes Clear Stamps, she also has her own Etsy Shop selling some cute images. 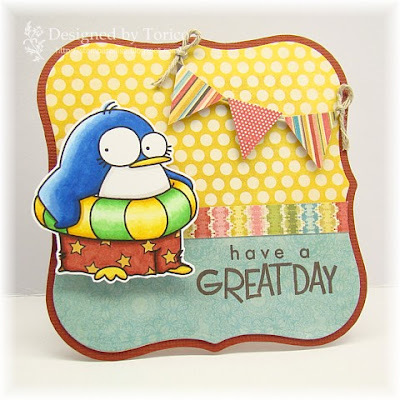 I loved Torico's clean and simple style with her cute and quirky phrases. 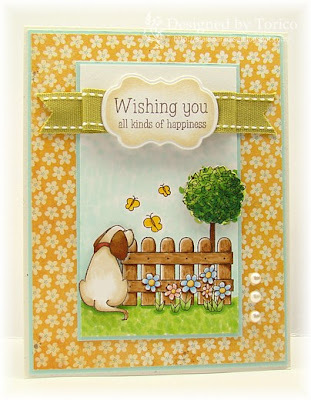 Please visit Torico HERE and check out the rest of her blog. great cards. Love that last sentiment. Putting it in my Visualize.Us list. Torico does such fabulous work. Wow - these are all wonderful...Love the gorgeous style! Some of my favorite cards by Torico! Congrats on your feature! Just love the penguin card - great fun. Just gorgeous!!! Love all the cards. Great cards, especially the fathers day one. Thanks for for sharing the the talent and sentiment. 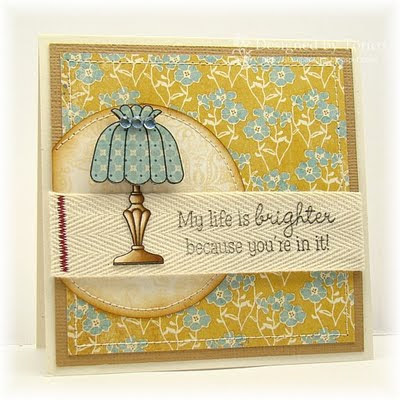 I really love the card with the lamp on it. I like the look of the words on the fabric ribbon.